If you really desire to have a good grip over accounting, then you need to follow some steps. Accounting is the most important part of the business study. So, how to improve your knowledge is an important factor. Experts say that if you go through these points and make everything according to these, then you will get an exact outcome according to your need. Undoubtedly without the proper knowledge of basic terms, you cannot make the concepts clear and interesting. So, if you desire to enhance your interest, then go with small terms which will enhance your interest. 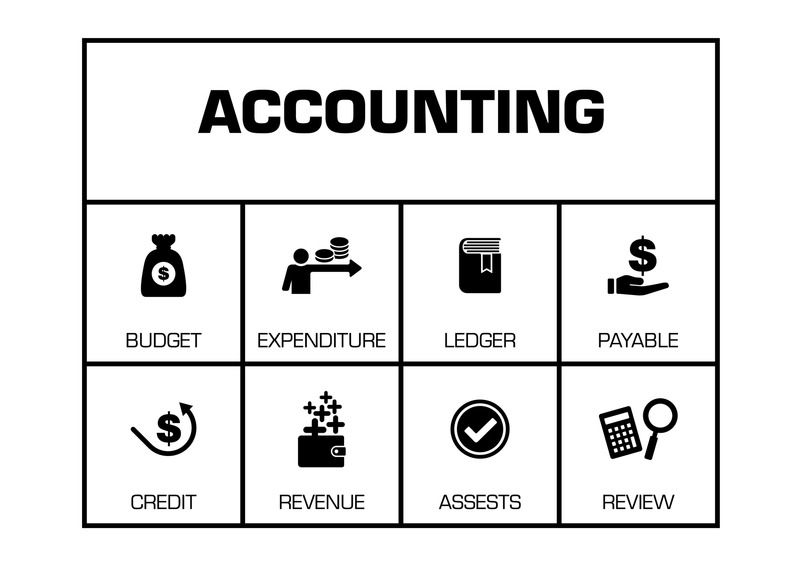 There are many small terms which are basic terms in accounting. When a person manages the financial record through bookkeeping system practically, then he needs to use many terms as debit, credit, asset, liabilities, Equity’s holder and many others. Along with that different types of financial reports as well as annual reports need these terms as they are important for a company’s performance. Now, a student needs to go with the exact concept in making assignments. The balance sheet is also a prominent part of business, and thus you must have to know the different types of expenditures and the way of income of a company. Just start small calculations in mind and think about any small questions that can be solved by you. The terms and the concept will be effective and perfect to all students when they do a very great care of calculation part. So, what they need is to focus on different formulas to grab everything in a perfect way. When you go with some assignment work, then take care of the small factors as addition, multiplication, division and subtraction. Along with that, you need to go with formulas those are used while you solve any question in accounting. You must go with live projects. If you go through the case study of a live project, then it will be interesting and perfect for your requirement. If you get a project or an assignment, then you can easily understand the importance of the various concepts. Moreover, it is also very prominent that a student needs to complete assignment or project without any fault. A lot of terms get included, and this is the prime reason of enhancing interest. I just to share my experience in this part! It was very difficult for me to understand the complex part of accountings. Though I have interest, I confused. The problem was may be due to the lack of practical knowledge. I went to my faculty and then he provided me with a simple project. When I got that, I became completely confused because I took it the first time. However, my mindset was clear, and I started working. After a few steps, I searched a lot and completed that project. You will not believe that I did not have any confusion now. Even I got an excellent way to have an interest in the topics and this way of completing work. After that, my interest level gets increased, and I started performing many projects freely. In this way, not only it boosted my knowledge, but it helped me a lot in understanding the various cases as well as different terms and their uses. I also achieved the highest score in the class only because of my practical. A different case study of assignments makes a student interested. Doing practice is very important for a student, and this is the reason that to get a good grip over accounting you have to practice everything in a proper way. Without practicing you cannot understand any question when it will be provided to you. Undoubtedly, without practicing you cannot understand the depth of a point. So, when you practice, you will get its perfect outcome. It is common and not only in case of accountings. You will get the same thing in the case of science too. Only with proper practice, you can also understand how Maths and Physics is considered as one of the great combination in science field. Accounting will get interested when you read different types of magazines and news related to Finance and accountings. The speech provided by people to increase its profit may need different factors. These all are related to accountings of a company. In this case, you will get that how accounting gets interested with knowledge of common things around you. If any company is in the loss, then it is very important to know different factors as well as how to recover it. So, accountings itself is very interesting if a student care about. Make some twist while solving your assignments. So, when it is important to make the things interesting, then you should make some changes by own. You can get various data, and also you can put your own view that how to make accounts perfect for a company or what changes or expenditure a company should do. Now, these all facts are really interesting, and these will make study exciting for a student. So, you have to be conscious always! How Can Children Benefit from Personalized Learning?